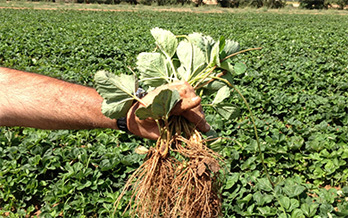 Viveros California harvests its strawberry plants from September to November, so they can be used fresh. 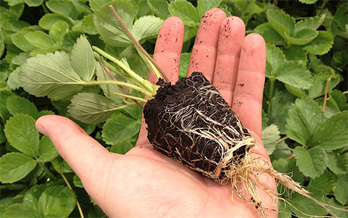 No matter the type -fresh dug, tip and plug plants- our fresh strawberry plants allow farmers to obtain early productions and optimal fruit quality, ensuring that all the individual qualities of each of the varieties grown remain undamaged. 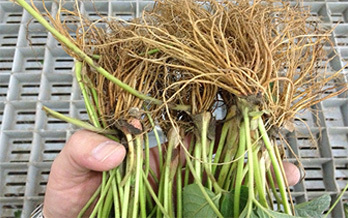 These plants are recommended for extra-early, early and high-technology crops, as they reach the highest productivity and quality levels on the market. 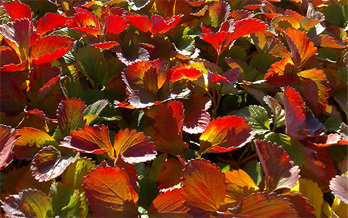 FRESH DUG plants with LEAVES are recommended for certain varieties and productions in extra-early areas, given that they increase the precocity of entering in production, when compared to the traditional LEAFLESS plants. This is a highly technical and professional product that requires optimal crop conditions, especially during the transplant phase, making it especially effective in certain special occasions (ask about availability). This special type of fresh or cool-stored plant can develop time-programmed crops, as well as EXTRA-EARLY plantations, where the limiting factors are temperature and humidity during the transplant, i.e. September in warm areas. 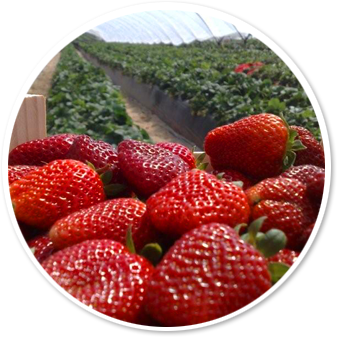 Especially adapted to any type of ground and climate, cool-stored strawberry plants are harvested at the end of December/January, when the area’s weather has completely stopped vegetative development, accumulating more cooling hours needed for its latency period to start.